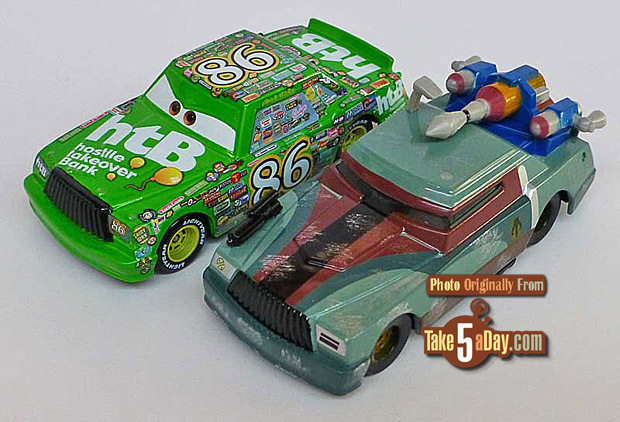 In addition to the 2-pack Tractors as Sandtroopers and the 3-pack of Obi Wan Doc Hudson and Jawa Pitty’s, there’s also a Chick Hicks as Boba Fett – presumably as a single unless another mystery CARS WARS diecast appears. 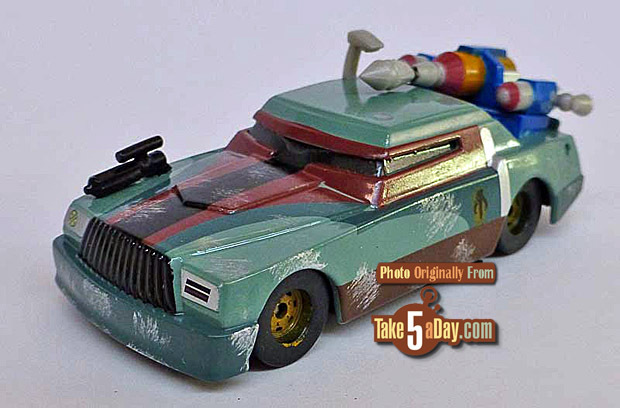 This looks like a solid block of diecast metal, other than the hood gun and the weaponry on the back trunk. John H. says these are being produced by Mattel. Have a fun Star Wars Weekends for those going. It’s a huge deal in Disney World – lesser so at Disneyland. Let us know if Chick Boba is a single or set? Instructions here on all your options. 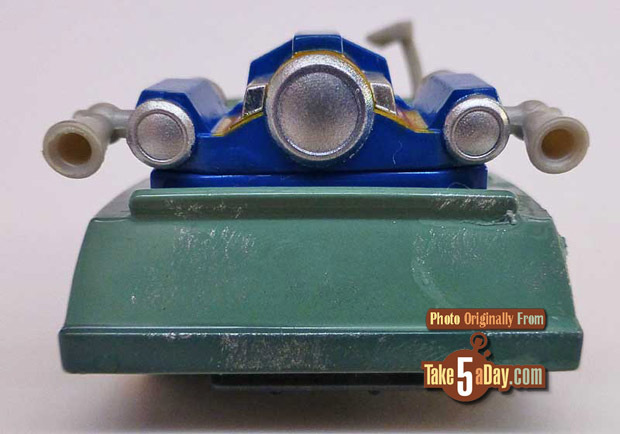 We called and were told no Star Wars Cars could be sold until at least Friday. 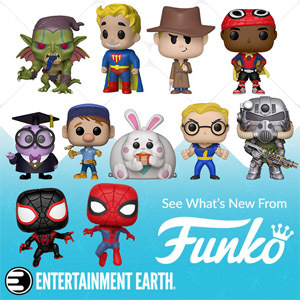 These are now available to order through Disney. I called (877-560-6477) to place my order. 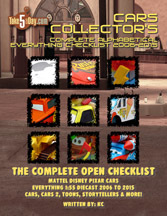 All cars are $9.95 each with the exception of the 2-pack (Mater & Doc as Darth Vader & Obi -Wan) which is $16.95 each.